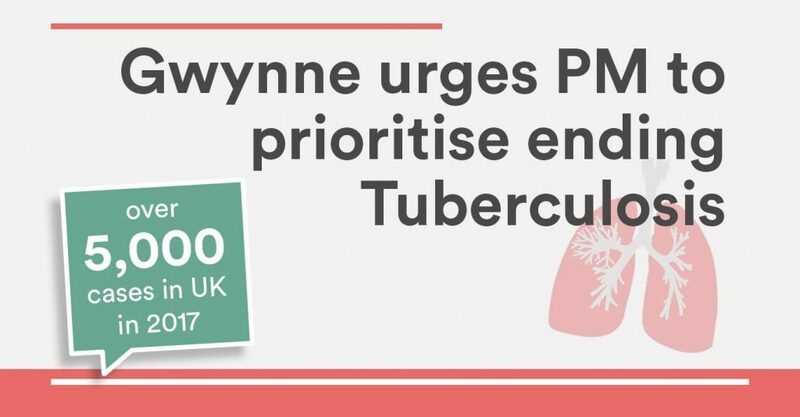 Denton and Reddish MP, Andrew Gwynne, has joined more than 100 MP’s in signing a letter to the Prime Minister urging her and the Government to make ending tuberculosis (TB) a priority and to attend a UN High Level Meeting on TB in September. TB is the world’s deadliest infectious disease, killing 1.7 million people a year – more than more than HIV and Malaria combined. The UK remains a TB hotspot in Europe, with over 5,000 cases last year; rapidly spreading drug-resistant strains of the disease increase the risk. At the current rate of progress, the world will not reach the Sustainable Development Goal target of ending TB by 2030 for another 160 years – so it is essential that the High Level Meeting makes a new start. The signatories to the letter included Damian Green, the Prime Minister’s former deputy, and Ken Clarke, the ex chancellor. The letter itself urges Mrs May to attend a major summit which offers an unprecedented opportunity to turn the tide against this terrible disease. The UK can be proud of its record in tackling TB worldwide with investment in the Global Fund to Fight AIDS, Malaria and TB saving millions of lives with the UK continuing to act as a global leader on AMR, as well as UK institutions being at the forefront of TB research. “While we should feel rightly proud of the UK’s contribution to the global battle to ending tuberculosis, there is still more to be done as TB still takes over a million lives worldwide each year.